How do I access library resources as a dual-enrolled student? - Ask Us! Can I bring food or drink into the library? Q. How do I access library resources as a dual-enrolled student? As a Dual-Enrollment Student you have access to the resources of the LFCC Libraries. 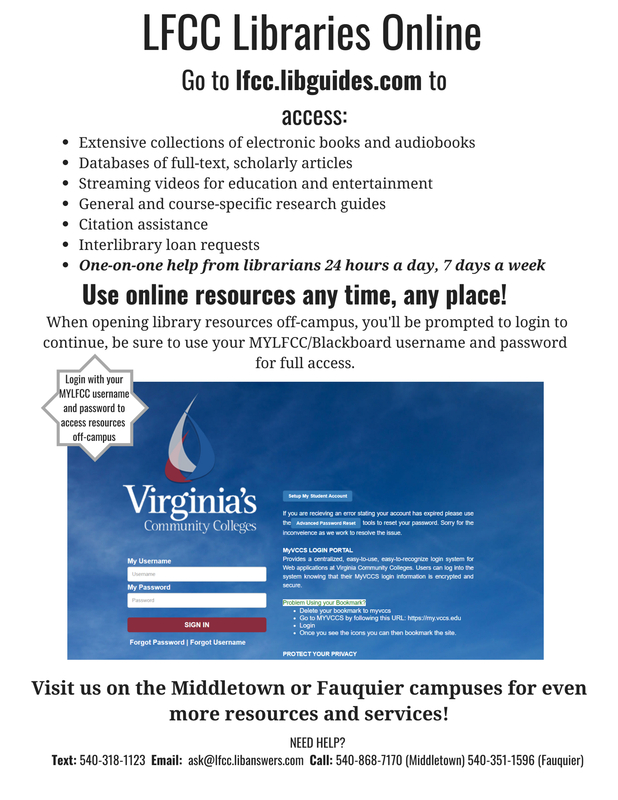 In order to access the online resources from off campus, you will need to have a MyLFCC/Blackboard username and password, which you will be automatically assigned when you are processed into the LFCC system. For questions about finding your MyLFCC/Blackboard username and password as a dual-enrollment student, please contact your school's career advisory coach. 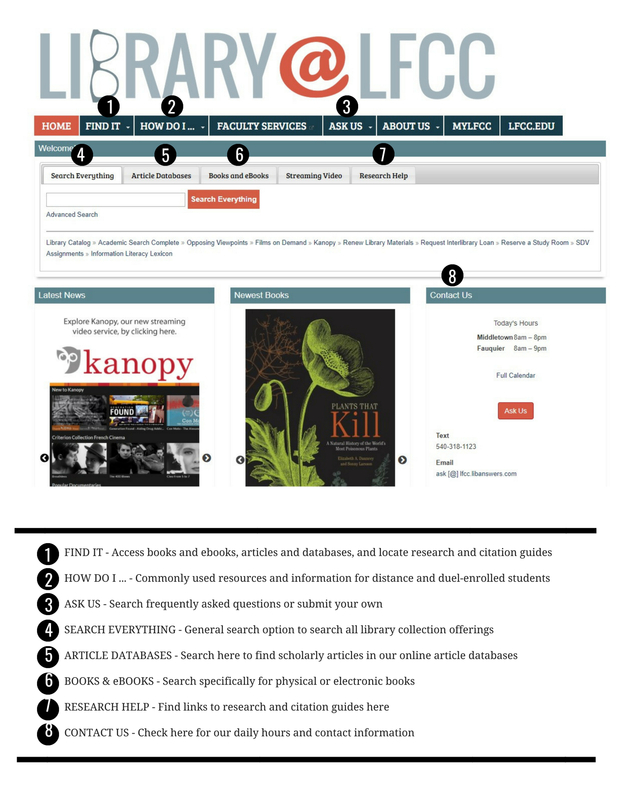 For questions about how to use the resources of the library, check out the other pages on the Library at LFCC website or contact us. Dual enrollment students needing a book or an article that is not available online may request to have the materials sent to them. To request print materials, students can call Toll Free – 1-800-906-5322, ext. 7170, or direct at 540-868-7170. Circulating books can be mailed with postage-paid return packaging included for materials that need to be returned. Mailing is limited to course-related items and excludes items like popular fiction.